Whether you just moved into a new home or some of the furniture in your current home can really use a replacement, we have tips for you that will help to shave a good few dollars from the total cost of your furniture expenses. While you could just go online or offline in search of the cheapest options available in each category, that’s a bad decision, to say the least! Buying a piece of furniture is a long-term investment and unless it lasts for years and provides you with the comfort and functionality it is supposed to, there is little point in wasting your money on it. To help you reach a middle ground and get the best of both worlds, here are a few practical tips that will help in saving money, without compromising on the quality of the actual products. What can we tell you that you don’t know already? Furniture is cheaper online because the e-commerce sites do not have any setup costs to bear, unlike your local furniture shop. Not that online shops are run without employees or anything, it’s just that everything is shipped directly from the warehouse, which reduces the overhead costs by eliminating the need to have a showroom. Admittedly, the showroom does give you that added option of seeing, feeling, and testing the furniture out firsthand, but once you compare the significant price differences and consider the fact that the products bought can be returned quite easily, it really does seem like a better deal, especially as we are trying to save money and be practical here. The logic is simple really and applies universally to expensive purchases in particular; when you buy all your furniture from one shop, it makes it easier for the shop owner to give you a good discount. Combine that discount with the fact that furniture soldonline is significantly less expensive, to begin with, and we have a practical tip that will save you a serious bag of money! Of course, that doesn’t mean you won’t have options to choose from though because online furniture dealers like Family Furniture have a huge collection to choose from in any department. For example, check out the Family Furniture bedroom sets on their website. The sets themselves can be customized to include or exclude any number of items and the best part is that they even have financing and leasing options for hefty purchases, which is a more practical option than having to pay for every piece of furniture at once. Any manufacturer or designer with a significant reputation will hike up the prices, without justifying it with an upgrade in the quality of the products. Anything with a popular designer house tag will cost more money than it logically should because of the brand name association alone. As we are being practical here, look for quality in smaller, but well-reputed brands, rather than going for the big names in the industry. The quality of the materials used in the furniture is more relevant than anything else, so look at what was used in making the products instead of the brand name and you will never regret it. Making furniture by hand is an art, but in today’s world, it isn’t as hard to manufacture quality furniture, as items are mass produced in factories by mostly mechanical processes. Therefore, it makes little sense in paying significantly more for something like that. Just like the color makes a difference in the final price of the same car, the same piece of furniture will significantly differ in pricing, depending on the color. Our advice would be to stick with basic shades like black, brown, grey and white because they cost less and can go with any décor. On the other hand, peppy, rarer colors like bright orange or deep purple will push up the price tag by quite a few dollars. While this is a list for the practical people of the world, it doesn’t necessarily mean that practical people do not have any taste either! Colorful cushion covers, contrastingly bright pillow covers and bedsheets won’t cost extra and will let you dress up the furniture without having to overspend for the sake of fashion. This is pretty much the last resort scenario and taking this route is only advised if you are truly short on cash or you have found something that’s worth spending money on. 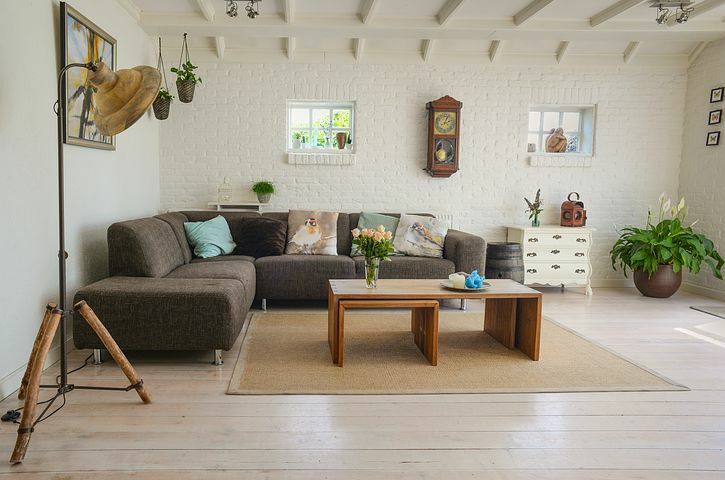 Second-hand furniture is not ideal by any means, but it is possible you may strike a remarkable deal at times, although the chances of that are rare! Refurbished furniture from showrooms is a comparatively better idea, as they cost a fraction of their brand new counterparts, but they will likely not be able to offer you the same quality for obvious reasons. This entry was posted in Interior. Sarah Lorse has a B.S. in Environmental Science and has worked as an environmental educator. She loves all things nature. Sarah hopes to inspire curiosity and a love of the natural world in others through her writing.